Liv had the idea for Patchwork Present when planning her own wedding. She’d been living with her partner Laurie for over ten years and they had two kids already and weren’t exactly nest building, so when it came to wedding gifts they didn’t need department store stuff. All they really wanted was help to fund the family honeymoon to Cuba that they were all dreaming of. Liv built a site that let friends see a patchwork of images that made up all the component parts of their honeymoon and then choose which bit they personally wanted to fund – a couple of beers in a bar, a day behind the wheel of a 1950s car or an unromantic dinner for four. Everyone loved the idea and, to Liv and Laurie’s delight, collectively funded the family’s entire adventure around Cuba. Returning from the honeymoon, full of love and thanks, Liv was surprised by the number of friends who now wanted to use the site themselves. And not just to fund honeymoons but to organise group gifts for a baby shower, kids party or friend’s birthday. Although Liv had only built her initial site as a solution to a personal problem it was obvious it had real use and value to others too. So she quit her job and Patchwork Present was born. To hear Liv’s story in her own words you can watch this two minute interview. 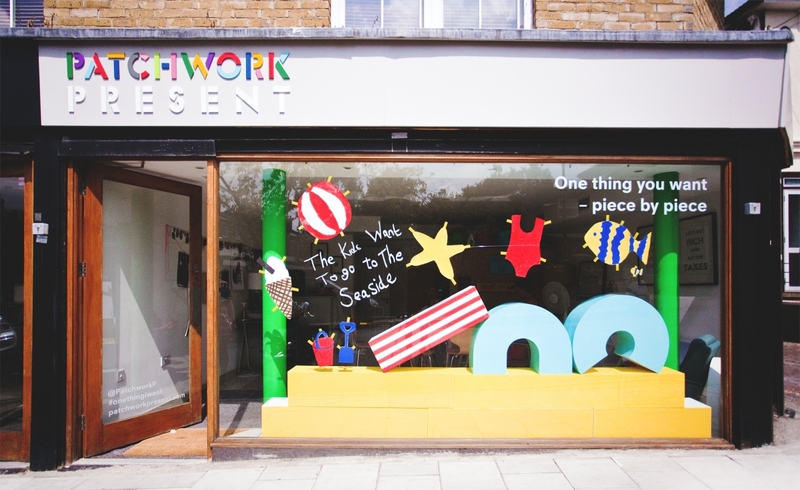 You’ll find us at, 7B Harefield Road in Brockley, South East London. If you’re ever passing, just knock and we’ll let you in - the password is “biscuits”. Custard Creams preferably or those posh ginger thins for Kim, please. Our purpose is simple. To help people use gift giving occasions to get the things they really want and need. And to stop people wasting time and money on unwanted gifts that end up in landfill. To learn more, read our Blog or say hello@patchworkit.com. We don’t want to make our money by forcing you to spend yours with major global retailers. Patchwork Present is an independent business so our site is designed for independent people. Patchwork Present isn’t about us selling you stuff. It’s about giving you the space to share a personal dream with friends and family and giving them the tools to help make it happen. Ads all over the place might make us some money but they’d kind of ruin the whole vibe. We thought about a flat fee to open a Patchwork Present page but although a £50 fixed fee would work out ok for those who collect £4000, it doesn’t work out so well for someone who collects a total of £150. So instead, we’ve chosen a commission model. You can create a Patchwork Present for free then we charge you a 3% commission on the contributions from your friends. On the cost of the average wedding gift this commission is roughly the price of a piece of wrapping paper whilst based on the average birthday present, it’s about the price of a first class stamp.